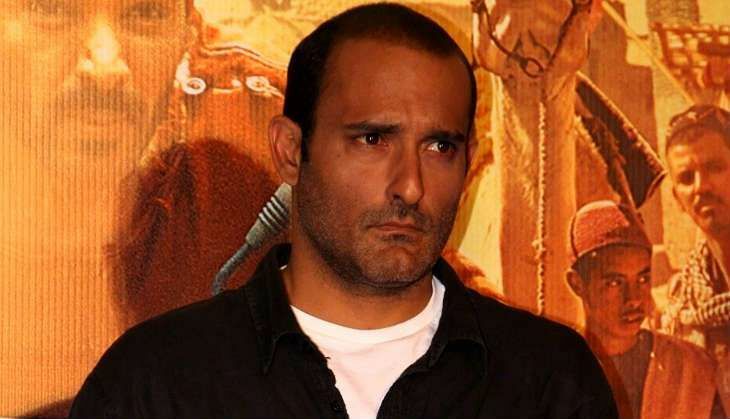 When the trailer of Rohit Dhawan's Dishoom was released, the audience was thrilled to see Akshaye Khanna on screen after four long years. The actor who has featured in films like Border, Taal, Dil Chahta Hai, Humraaz, Hungama and Race, will now be seen in a negative avatar in Dishoom, which also features Varun Dhawan, John Abraham and Jacqueline Fernandez. But what took Akshaye four years to come back to Bollywood? What was it like to not work in films for four years? Honestly, not working is like not breathing. Right now I am like an excited fish in the water. I had some personal issues which did not allow me to work for a while; I had to take care of them. After that, it took me a lot of time to find something that I really wanted to do. I cannot work for the sake of working; I wanted to be excited about what I would be doing. It took me time to find a couple of scripts which I liked and right now I am doing those films. What did you like about Dishoom, considering it's a negative role? One of my friends called me saying Rohit (Dhawan) would like to meet me for a film, and he just gave me a brief. But that one-liner was so interesting that I couldn't say no. I didn't want to do a full-fledged role, I wanted to start slowly with small but good, solid roles ... Like the one in Dishoom. I am playing a negative role in this film but it's a superb one. It's a great cast as well -- Varun (Dhawan) and John (Abraham) are young and energetic, and my role is great. Did you know Rohit before working with him? I didn't know Rohit before doing this film. I had watched his Desi Boyz before I met him. It has been a great experience working with him. Dishoom is a film in a different genre, it's a thriller and also a fun, young film. Did you get along with John Abraham and Varun Dhawan? Oh, they are full of energy and it was exciting to work with them. We made a good team. Varun is good at his work, is ready to learn and tries to give his best in every scene and so does John. John has been in the industry for a very long time now; he is too good with action. How different is this negative role from the ones you have played previously in Humraaz, Race, et al.? I have never played an Amrish Puri villain, a really bad guy who rapes women or does horrible things. What attracts me to any role -- whether it's positive or negative - is the character. It should be entertaining. So what if it's a negative role in Dishoom? It's fun to do a negative role, because it's entertaining. You have been in films for almost 20 years now. Do you think the industry has changed over the years? As an industry, we were so disorganised 25 years ago in terms of how films were funded, how they were made, how they were released ... Now it is all transparent and organised and so much more professional. But there are so many aspects to the movie making business -- one is the business side, the other is the technology side and then there is the creative process. Certain sectors within the same industry are changing much slower ... The creative side is changing slowly. I am doing Boney Kapoor and Sunil Manchanda's film with Sridevi and Nawazuddin Siddiqui. It's a really good script and we have almost finished shooting for it. I am really excited about the film; it should release by the end of this year. READ NEXT >> Narsingh Yadav fails second dope test. What about his spiked food claims?